The Embellished Collar: The Most Creative Fall Trend! *Take an old shirt and cut the collar off. Use post earrings that you no longer wear or have lost one to decorate the collar. Hand sew a clasp on the back of it to snap around your neck. *Visit a fabric store and purchase an embellished collar kit. Most of them do not require any sewing. *Shop at a retail store for an embellished collar shirt that is ready to wear. 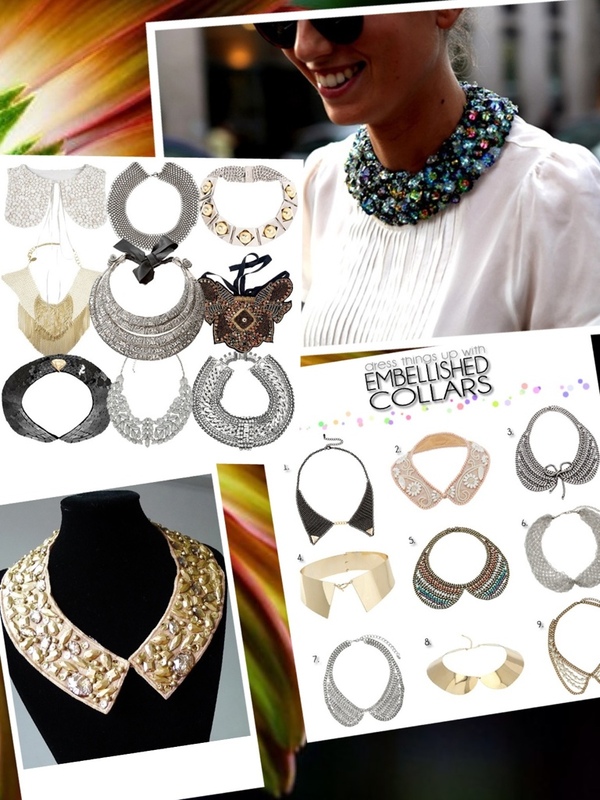 Reading: The Embellished Collar: The Most Creative Fall Trend!